It stays in a meditative pose for its chrysalis, moving only to jab enemies. 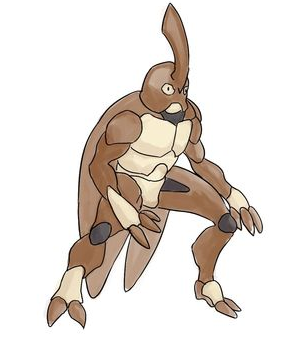 Katacoon, the Stance tuxemon, is a Metal-type, Wood-type monster. Original design by Leo. Sprites by tamashihoshi. This page was last modified on 21 October 2018, at 00:30.